“Bonefishing is a type of sport fishing where anglers seek to catch one certain type of fish, called a bonefish. The bonefish is known for its sporting qualities and challenge in finding, hooking and landing it. Many times, those who are beginners at bonefishing find that the best option is to hire an experienced guide. Bonefish are a type of fish from the family Albulidae, found mainly in clear tropical waters, offshore flats and in backwater areas, especially near mangroves. They range in size from 5 to 12 pounds (2 to 5.5 kg). They are a very popular sportfish, especially in the Florida Keys and Bahamas. They appear silvery or gray and have longer bodies built for speed. Bonefishing can be accomplished in a number of different ways, some easier than others. Chum can be thrown on the water in an attempt to attract bonefish into a certain area of the flats, where most of them are found. Once they are there, throwing a baited hook, or artificial lure, into the midst of them will usually entice a strike. However, this bonefishing technique is hardly considered sport by many anglers. The most popular bonefishing method, especially when using a guide, is to use a pole boat to search around the flats for the fish. This is accomplished by using a good pair of polarized glasses and a long pole. The guide often stands on a platform above the main level of the boat and uses the pole to push the boat along. A trolling motor cannot be used when bonefishing because the fish spook so easily. 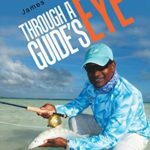 Once a bonefish is spotted, the guide will then direct the angler where to cast. Though bonefish may prefer live bait, they can be caught by other means as well. Artificial lures are one of the best ways to catch baits. Fly fishing techniques also work well for bonefish because fly lures enter the water so gently and do not spook the fish as much. Bonefishing with Bonafide Bonefishing is strictly catch and release. Bonefish are quite fragile, so while being released, we only take a quick moment for a picture opportunity and then immediately return the Bonefish to the ocean.